My research and teaching focus on the history of science, with a special emphasis on the interactions between the natural sciences and other cultural domains, including those of religion, political ideology, and issues of gender and ethnicity. I am currently working on a book that surveys the cultural contexts for technology and science in the most ancient civilizations –Sumerian, Egyptian, Chinese, Indic, and Mesoamerican – which will be published by Preager in 2009. My most recent books include Science and Scientism in Nineteenth Century Europe (University of Illinois Press, 2008), which explores the natural scientific foundations underlying liberalism, socialism, positivism, communism, and social Darwinism, and Science and Religion, 1450–1900: From Copernicus to Darwin (Greenwood Press, 2004; Chinese edition, Shandong People’s Press, 2008), which explores the complex, often mutually supportive, interactions between scientific and religious developments in the modern Christian West. This volume is part of a ten volume series, Greenwood Guides to Science and Religion, which explores the interaction between science and religion in many religious traditions for which I am the general editor. A Harvey Mudd alumnus, until recently I served as chair of the steering committee for the Hixon Forum for Responsive Science and Engineering, which promotes the exploration of the interactions among science, engineering, and the society in which it is embedded as well as the development of science and technology intended to serve the common good. I am also on the steering committee of the Claremont 5 college Program in Science, Technology, and Society. 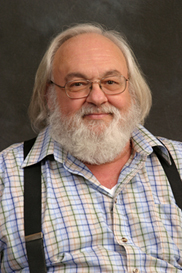 I served as the Hennebach Distinguished Vising Professor in Humanities at the Colorado School of Mines in 2002–2003. Before returning to HMC on the faculty in 1976, I was associate professor and chair of the History Board of Studies at The University of California at Santa Cruz. *The best way to reach Professor Olson if you want a quick reply is to use email.